Monopoly Madness: The Tokens have been Chosen! – ready for some slapstick? Monopoly Madness: The Tokens have been Chosen! 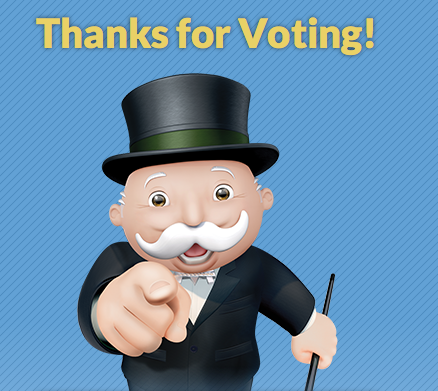 Happy belated World Monopoly Day! 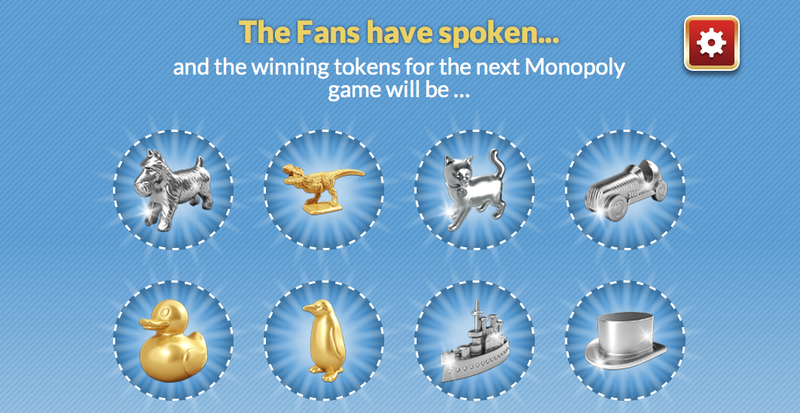 Back in January, Hasbro gave the internet the opportunity to choose the tokens in the next version of Monopoly from a collection of the current eight tokens and several completely new ones. And now the results have been announced! We’ll be getting the T-Rex, rubber duck and penguin! RIP thimble, shoe and wheelbarrow. While I wish more of the new tokens had been voted in (and the cat had been voted out), I am not disappointed in these picks. I actually cast my votes to add the penguin and T-Rex and for keeping the Scottie dog. I will say the rubber duck is the biggest surprise, in my opinion, but I am extremely glad we didn’t get an emoji added to the game. The boards with the new tokens will be out this fall and I most likely won’t be purchasing it but some people are really into a game that takes five weeks to play and destroys relationships. Are you happy with the new tokens? Or would you rather have had different? Or kept the standard ones? Let me know in the comments!